Our Pure Sculpting Beeswax is a very fine, smooth wax from the hive. 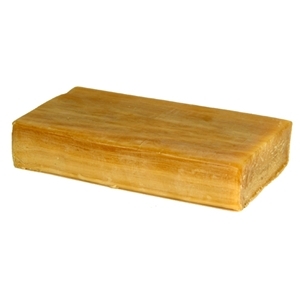 This pure yellow, all-natural material has a unique texture and is used for advanced direct modeling as well as dressing wood sculpture. Typically, more expensive than other waxes, it can also be used to seal stone sculptures as well as for batik (decorating cloth), and tie dye shirts.